Did you know Chalmers actually has two locations?! We have one location on Macdonell Street, for guests who are needing access to food downtown. And then we’ve got this wonderful thing that happens every Thursday morning on the property of Three Willows Church in the west end of the city. That’s Chalmers West. 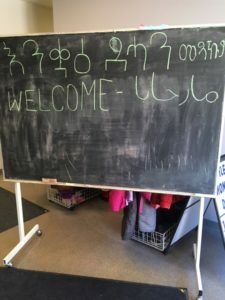 They offer food and clothing and coffee and snacks and mending, just like at Chalmers Downtown. And they’re busy. Like, super busy. In 2017, Chalmers West volunteers provided 1501 hours of service. Last August, they were receiving more guests than ever before, actually. One morning, when volunteers served over 200 guests, with guests lining up around the portable and out into the parking lot, one volunteer reported that, by the end of the morning, he and his fellow volunteers were facing empty shelves and disgruntled guests, and everyone was exhausted. 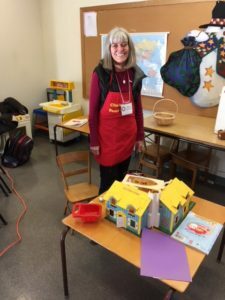 What could we do to relieve our volunteers of the stress of serving so many guests at once and ensure our guests were feeling welcomed and part of our community? So, we did a small thing. We moved registration into the Willow Grove Room. Coffee and snacks and mending were already happening there. Why not registration, too? Guests could go to the air conditioned and dry Willow Grove Room first to register with our registration volunteer. There, they could sit with each other, drink coffee and eat snacks, rather than waiting, anxiously, in line outside. And when their number was called, they would walk over to the portable to access food and clothing. New volunteers were oriented and trained to help with the new influx of guests in the Willow Grove Room. A laptop was purchased, to facilitate registration. A computerized number system was put in place, for ease of access. More coffee, juice and nutritious snacks were purchased to serve at the café. 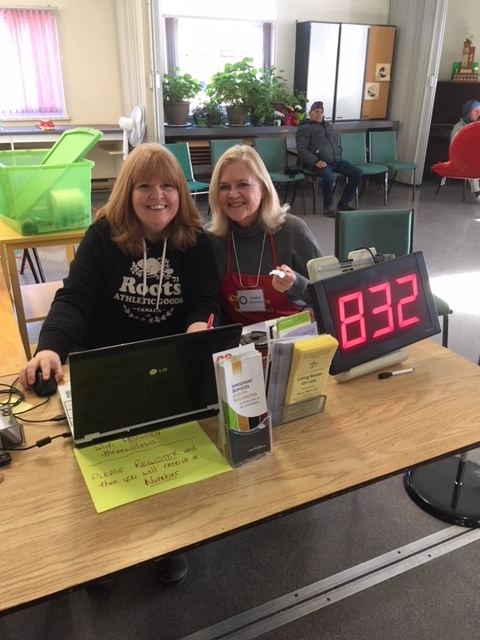 And so, suddenly, having registration in the Willow Grove Room meant that our café volunteers were busy welcoming guest after guest, serving them coffee and snacks, playing with guests’ children, knitting with them, taking them over to the portable when their numbers were called. Pearl, our mending volunteer, was, all at once, inundated with regular and repeat customers for mending. Zippers needed replacing, beautiful material from home countries needed hemming, old vests needed patching. 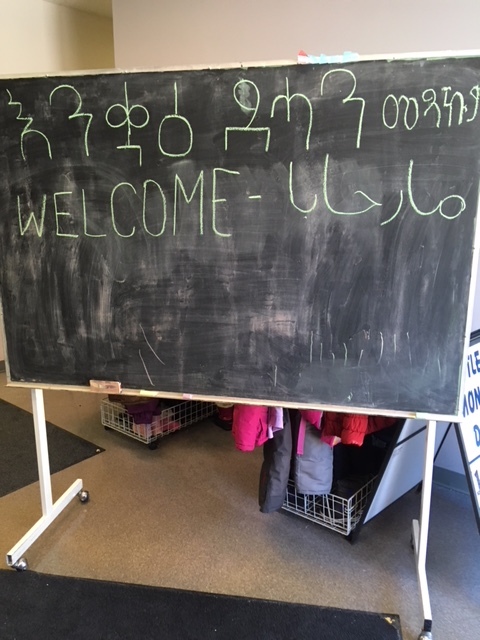 The buzz of conversation in the Willow Grove Room, in multiple languages, is a beautiful sound. Children running around and colouring and holding the hands of volunteers is a beautiful sight. And the hum of the sewing machine under all of that, as Pearl mends beloved clothing, frequently brought from far away, from home countries, is all, indeed, more than what we could have imagined. For all of this, we have The United Church of Canada Foundation Seeds of Hope Grant to thank. Thank you for supporting the building up of our café and mending programs. What a difference we have seen at our Chalmers West location.